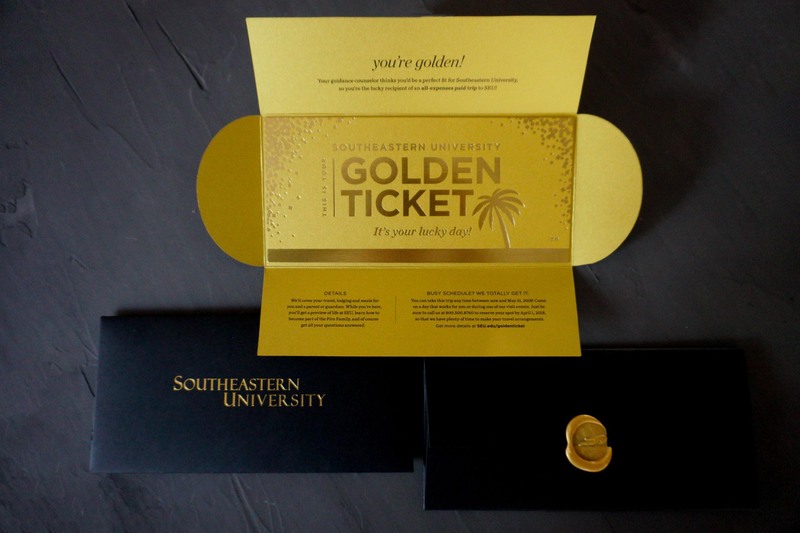 We worked with the enrollment marketing department at Southeastern University to create the ultimate golden ticket for prospective students. 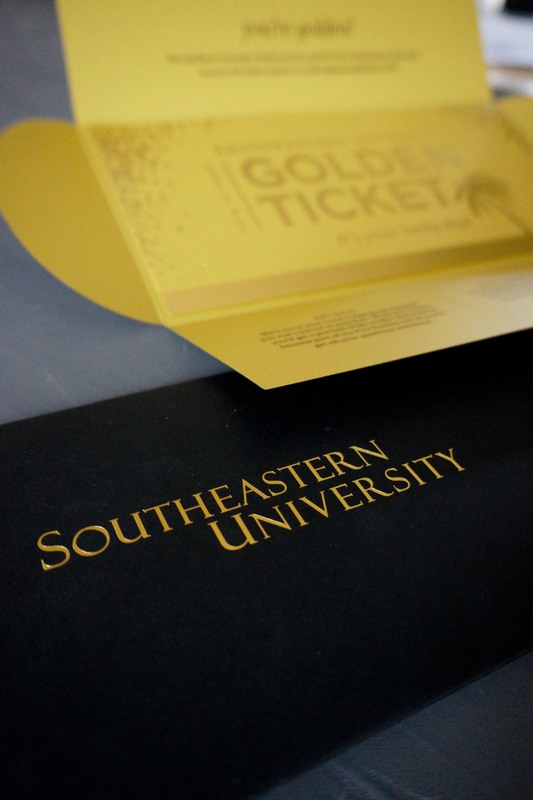 Fifty of these luxurious tickets were crafted for top prospects. The team knew their function, emotion, and vocabulary. 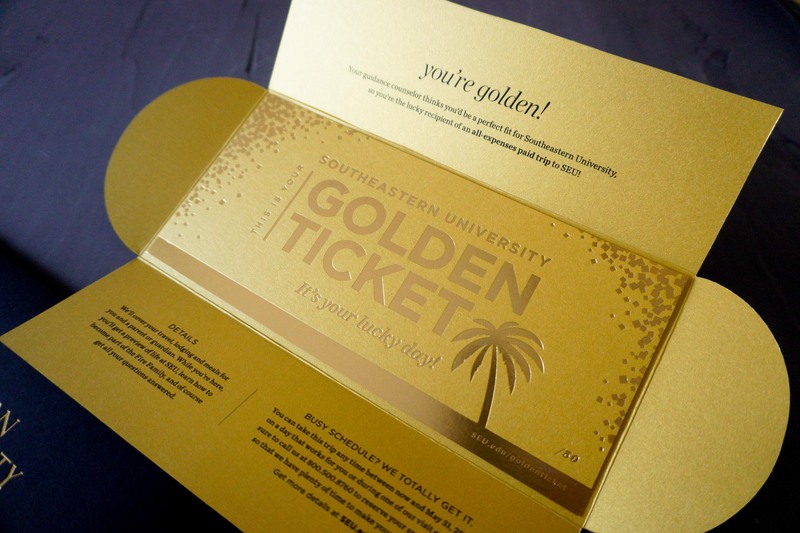 They needed a golden ticket to entice top talent. 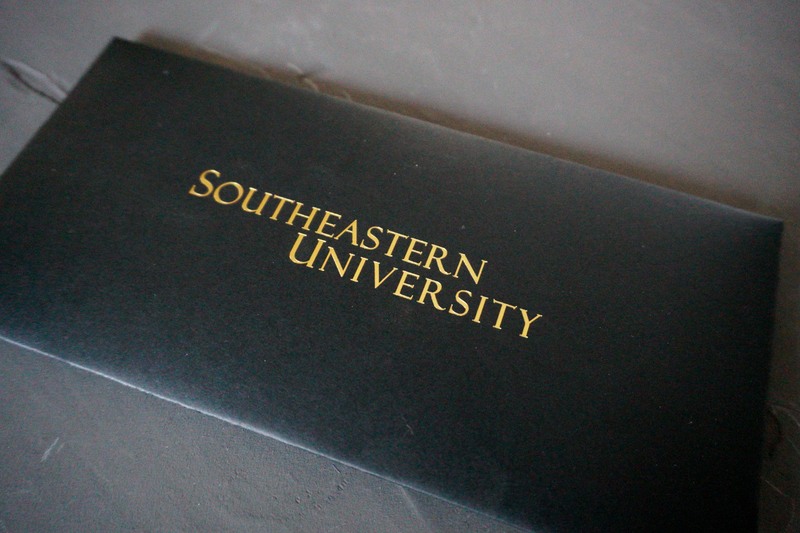 They wanted the student to feel pride and excitement simultaneously. And they have a brand identity whose vocabulary we could work with. 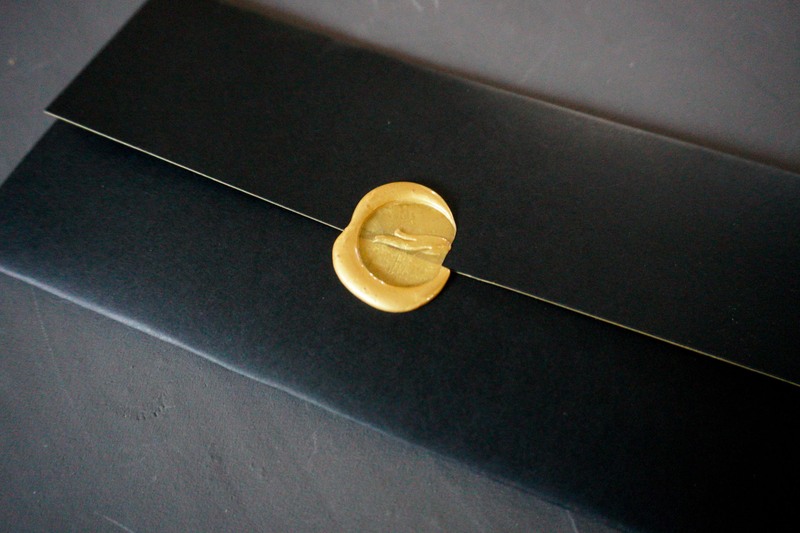 Can you imagine opening one of these?! 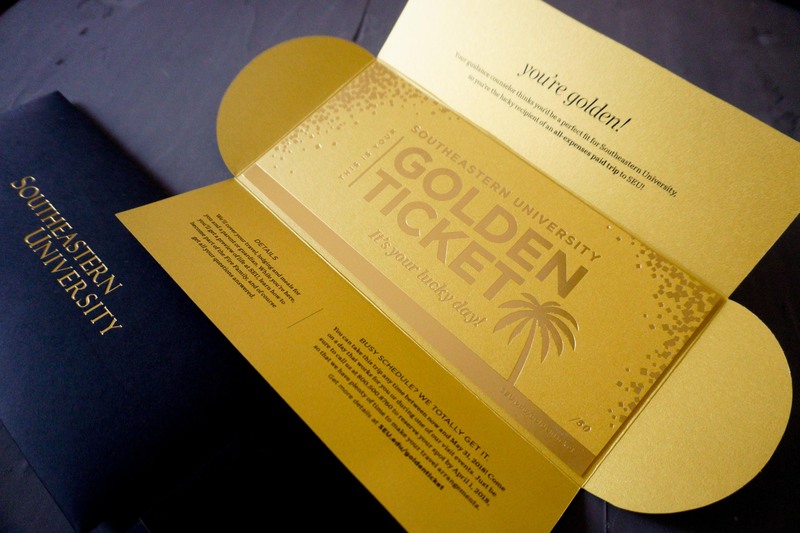 Gold-foil golden tickets in a custom duplexed and die-cut sleeve, closed with a gold wax seal.